Chris Sabo is a retired MLB third baseman who played for the Cincinnati Reds from 1988 to 1993 and later again in 1996, the Baltimore Orioles in 1994 and the Chicago White Sox plus the St. Louis Cardinals in 1995. Sabo is a World Series Champion for 1990 plus he is a three-time All-Star for 1988, 1990 and 1991 as well as National League Rookie of the Year for 1988. Sabo was inducted in the Cincinnati Reds Hall of Fame in 2010. PFP Sports Talent Agency is a top booking agent for motivational sports speakers and sports personalities. 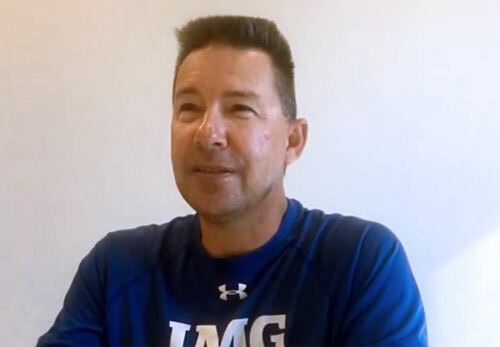 If you would like to book MLB stars like Chris Sabo for a speaking engagement, personal appearance or special event, you can request Chris Sabo agent and speaker information from PFP Sports Talent Agency or call 800.966.1380.